On the 231st anniversary of the delegates to the Constitutional Convention signing the U.S. Constitution, we’re pleased to share the good news that Cornell’s Legal Information Institute (LII) will today publish Congress’s legal treatise that explains how the Supreme Court interprets the Constitution. The treatise, known as the Constitution Annotated, is prepared by the Library of Congress’s Congressional Research Service and is published by the Government Publishing Office. Unfortunately, they do this poorly, as we describe below. For nine years we’ve asked the Library of Congress to do better, and since they have not answered those calls, Cornell’s LII has stepped up to the plate. First published over a century ago, the Constitution Annotated is a kind-of user-manual for the Constitution. Written by the Library of Congress’s Congressional Research Service, the Constitution Annotated contains comprehensive, non-partisan analysis of the U.S. Constitution as it is reinterpreted through new opinions issued by the U.S. Supreme Court. Unfortunately for the public, accessibility is unnecessarily limited, especially for a document that is required by law to be publicly available. While the Congress-facing version of the document is regularly updated throughout the year, the public-facing version is updated only on an annual basis (despite claims to the contrary). A lot can happen in a year, especially as the Supreme Court hands down roughly one hundred decisions annually. And with a Supreme Court justice nomination pending, understanding how the high court interprets the law is inescapably important. Untimely public access is not the only issue. The Library publishes the Constitution Annotated in difficult to use formats. First, it is published as a nearly 3,000 page PDF, or smaller several-hundred page chunks, which can be too large to download and make for unwieldy navigation. And second, it is available as an app, but with text too small to read on your phone and a clunky interface. Limited mobile readability hinders effective use for the one in five Americans who are ‘smartphone only’ internet users. These problems could be addressed were the Constitution Annotated published online as it is for Congress — as simple web pages. This would provide the equivalent of a useable roadmap for the document and allow for easier sharing of information across platforms and applications. In light of continued inaction by the Library, Demand Progress and GovTrack.us have partnered to ease the process by which the non-public underlying data is made available to Cornell’s LII, which is publishing the updated information on a user-friendly website. Cornell had previously published the Constitution Annotated by converting the plain-text publication from 2000. Once plain-text publication was discontinued, changes had to be typed in by hand, which made updates extraordinarily difficult. A dynamic and frequently updated version of the Constitution Annotated will facilitate the basic democratic principle of keeping the American public informed. 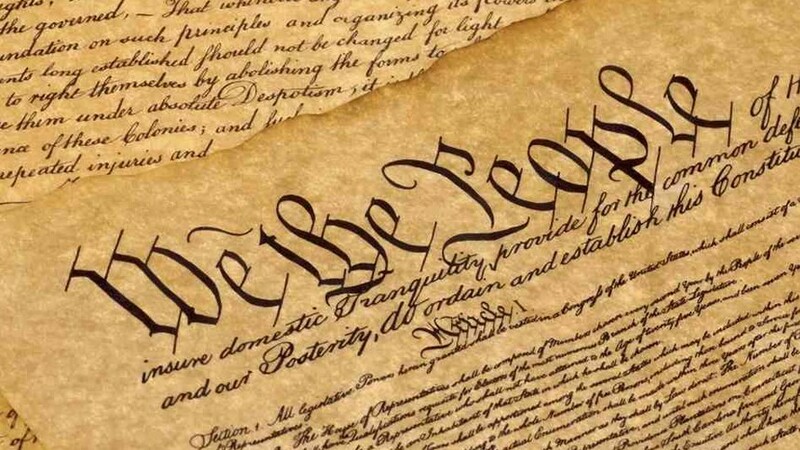 Finally, The Constitution (Annotated) In Your Virtual Pocket was originally published in Demand Progress on Medium, where people are continuing the conversation by highlighting and responding to this story.